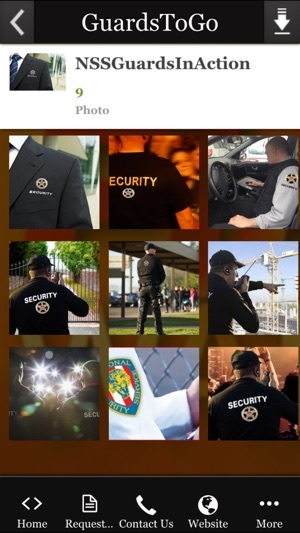 Do you have frequent need for short-term security guard services? Are you usually on the run and out of the office? 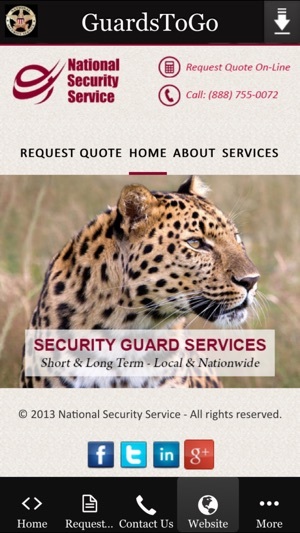 Then you need the GuardsToGo app from National Security Service. 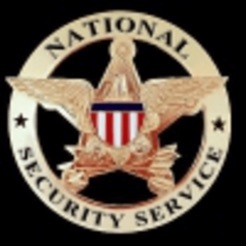 National Security Service provides its nationwide clientele with reliable, effective and affordable security guard services. 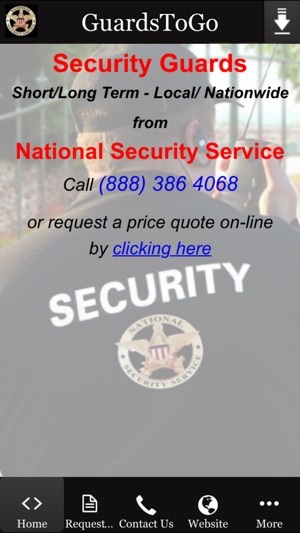 Just click-to-call in order to speak with a helpful Security Coordinator; or fill out and submit the app’s “Request Price Quote” form. Either way, a customized proposal will be delivered to your email address within an hour. Very useful app. 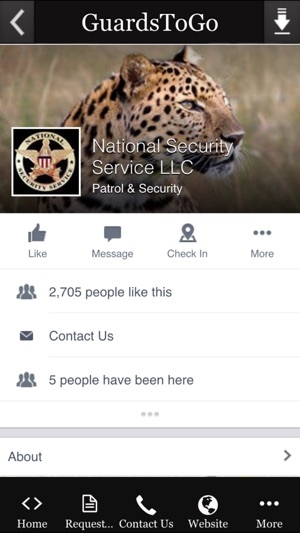 And first class guard service.